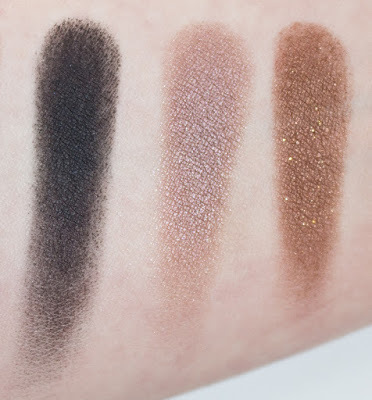 WARPAINT and Unicorns: MAKE UP FOR EVER Artist Palette Volume 1 – Nudes : Swatches & Review. MAKE UP FOR EVER Artist Palette Volume 1 – Nudes : Swatches & Review. 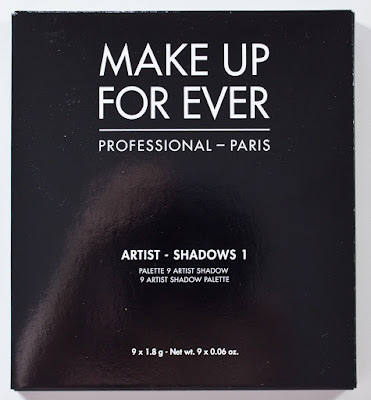 The MAKE UP FOR EVER Artist Palette Volume 1 – Nudes retails for $42US or $49CAN for 9 x 0.06 oz worth of product. 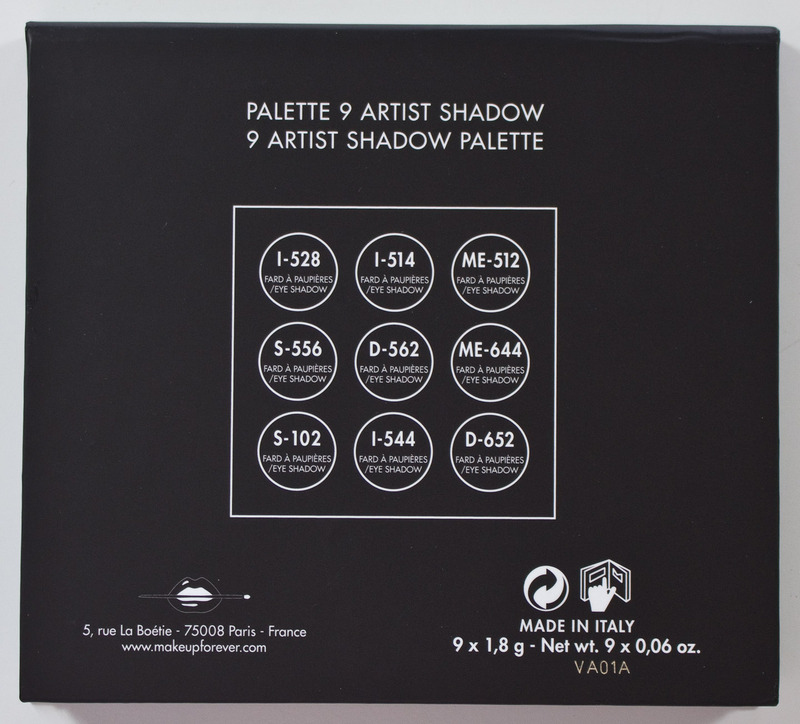 Basically each pan is 6/7th the size of the Artist Shadow pans at 0.07 oz. 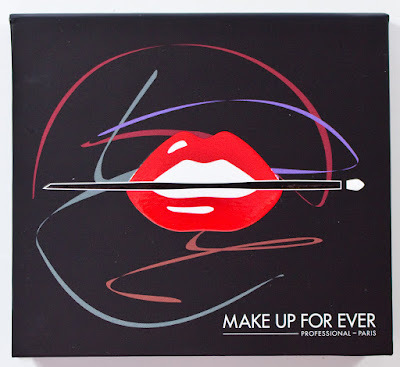 This contain all permanent product from MUFE but one of the shades sold in this palette is not sold individually at Sephora. 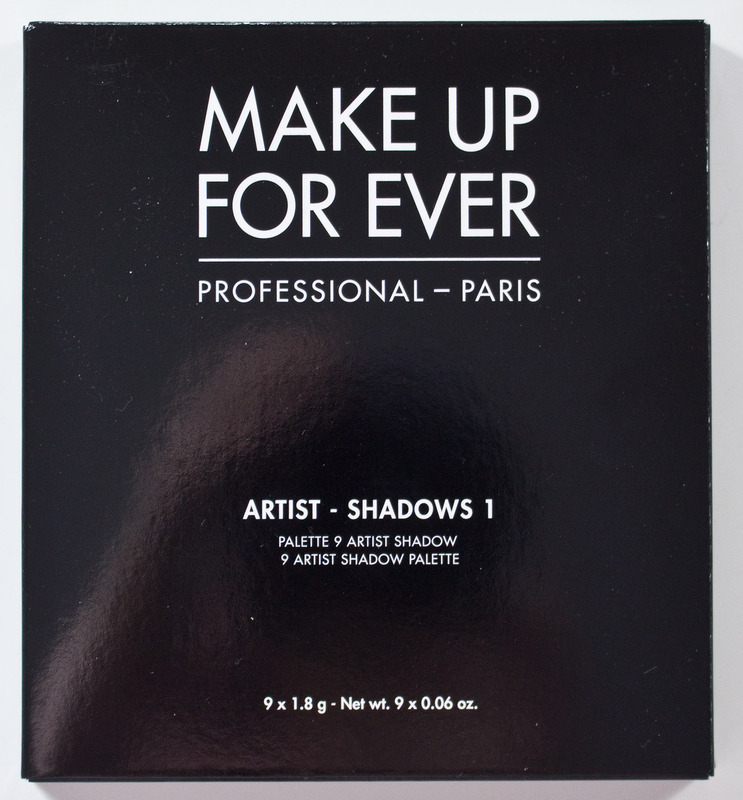 MAKE UP FOR EVER Artist Palette Volume 1 – Nudes box. 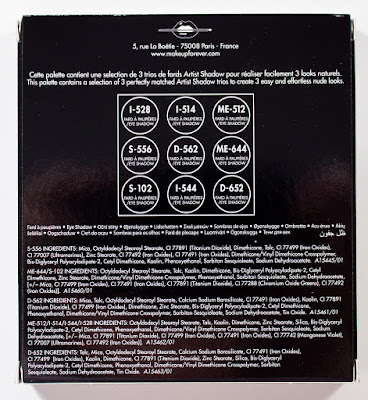 MAKE UP FOR EVER Artist Palette Volume 1 – Nudes box back. Instruction booklet. Has 3 looks with the trio's. 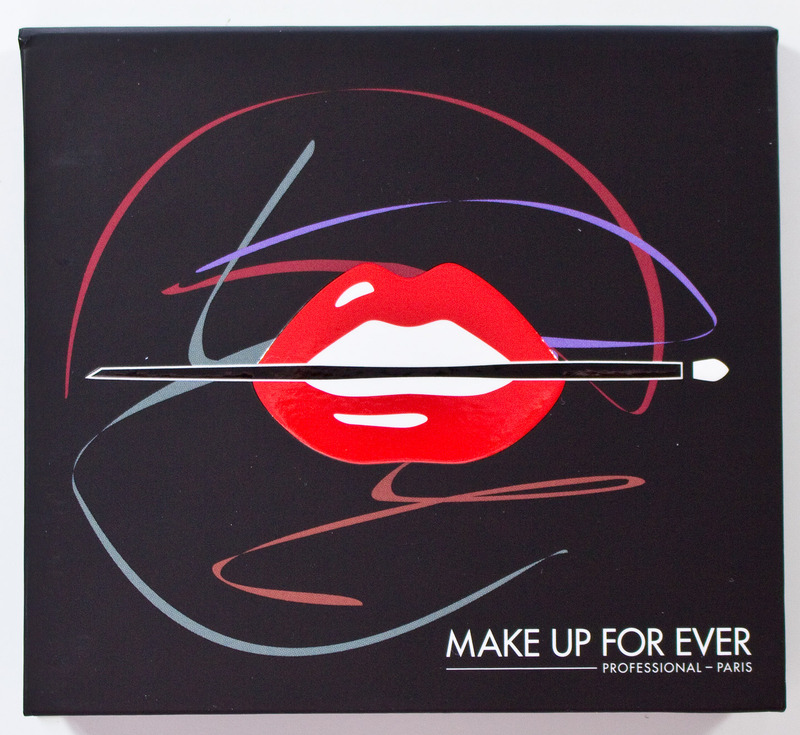 MAKE UP FOR EVER Artist Palette Volume 1 – Nudes cover. 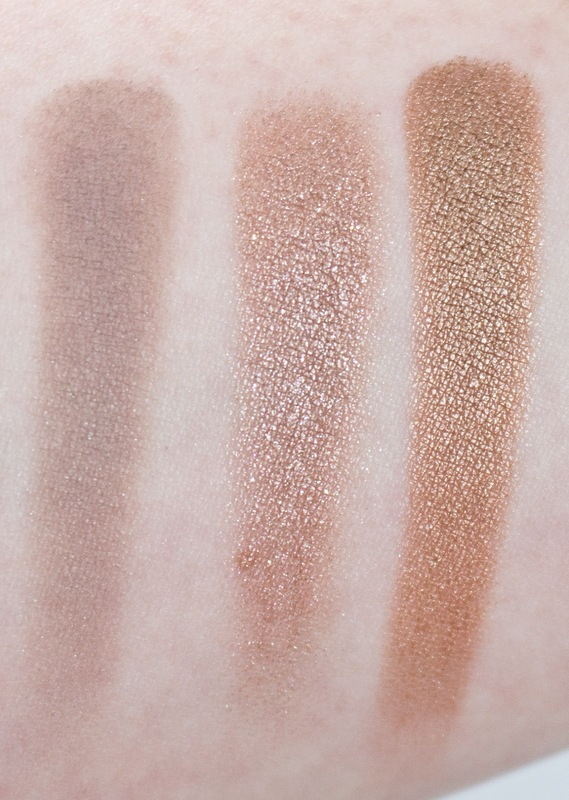 MAKE UP FOR EVER Artist Palette Volume 1 – Nudes back. I-528 Pearl, I-514 Pink Ivory, ME-512 Golden Beige, S-556 Taupe Gray, D-562 Taupe Platinum, ME-644 Iced Brown, S-102 Onyx, I-544 Pink Granite, D-652 Celestial Earth. 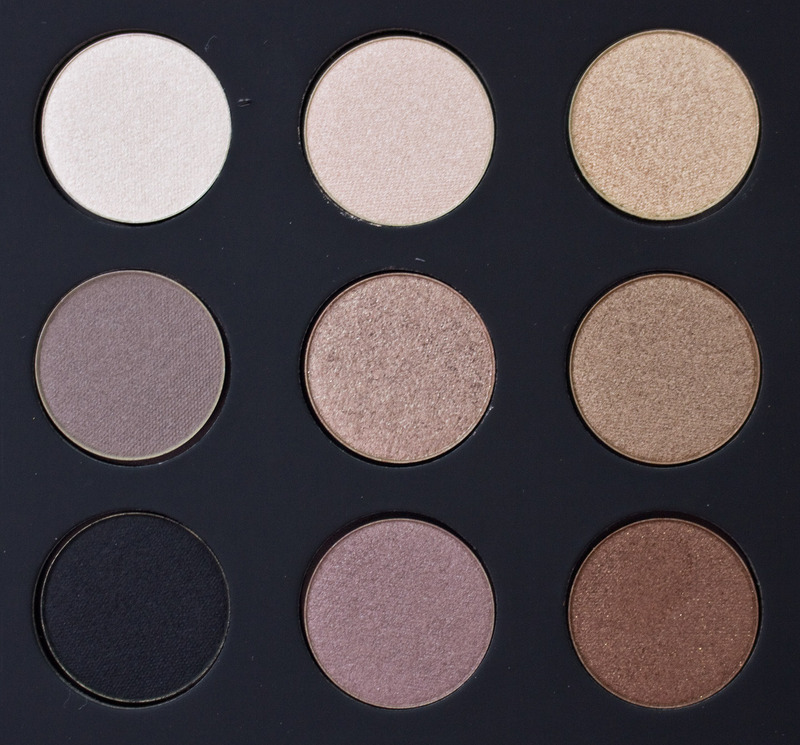 Products: Most of these shadows are buttery in nature and VERY pigmented. I found the shadows glide on with little effort as well. Formula wise these all seem to have the same base formula, The difference is that the shades themselves are shimmery or metallic in finish. 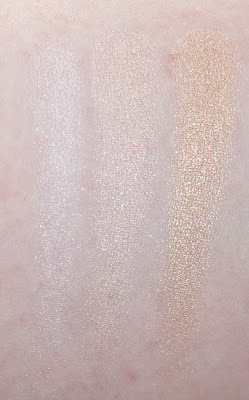 I stand for iridescent which these shades have a translucent quality to the colour shift they posses. D stand for Diamond and these shades have a brilliant shimmer. ME is for Metallic finish and they have a high shine to the shades. S is for Satin and these shade can be either low luster matte or pearly in finish. 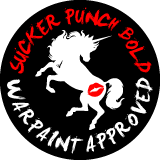 I-528 Pearl is a off white ivory pink with a pearl finish. I-514 Pink Ivory is a pale warm beige with a pearl finish. S-556 Taupe Gray is a light cool taupe with a satin finish. ME-644 Iced Brown is a warm light bronze with a metallic finish. I-544 Pink Granite is a rose taupe with a pearl finish. D-652 Celestial Earth is a warm mid-tone brown with gold shimmer. Wear: They last 6-8 hours on their own. 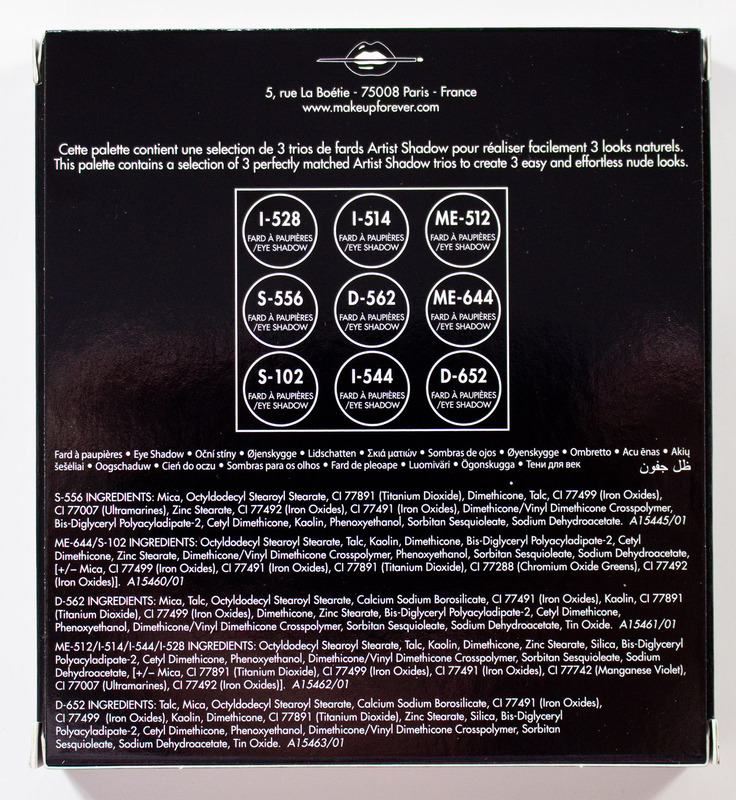 Packaging: It's the same as Volume 2 but the cover art have more muted strokes of colour. 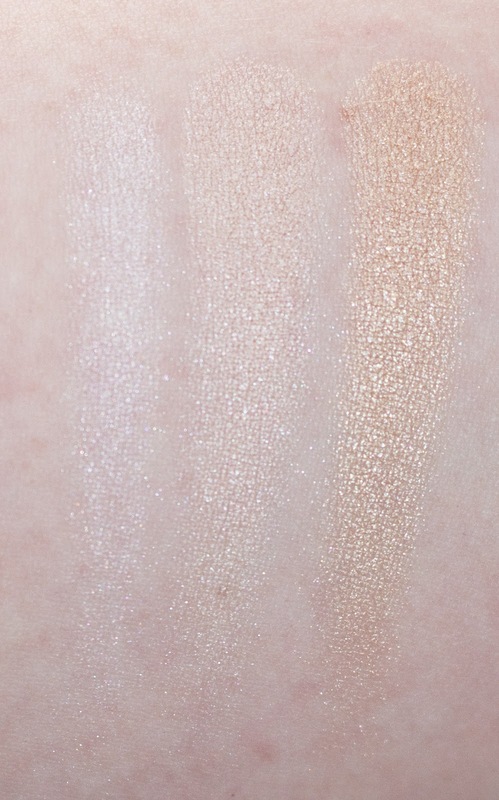 Daylight swatches: I-528 Pearl, I-514 Pink Ivory, & ME-512 Golden Beige,. Flash swatches: I-528 Pearl, I-514 Pink Ivory, & ME-512 Golden Beige. Daylight swatches: S-556 Taupe Gray, D-562 Taupe Platinum, & ME-644 Iced Brown. 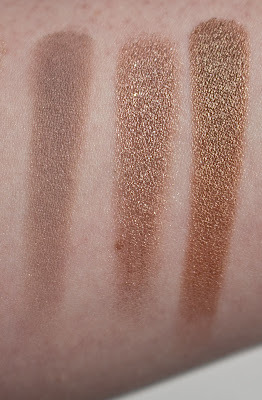 Flash swatches: S-556 Taupe Gray, D-562 Taupe Platinum, & ME-644 Iced Brown. 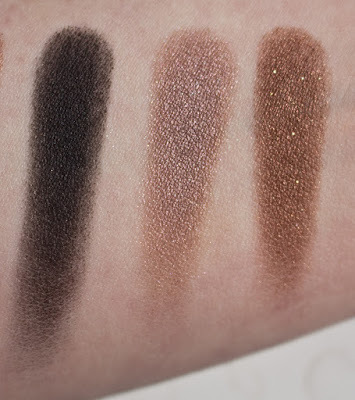 Daylight swatches: S-102 Onyx, I-544 Pink Granite, & D-652 Celestial Earth. Flash swatches: S-102 Onyx, I-544 Pink Granite, & D-652 Celestial Earth. 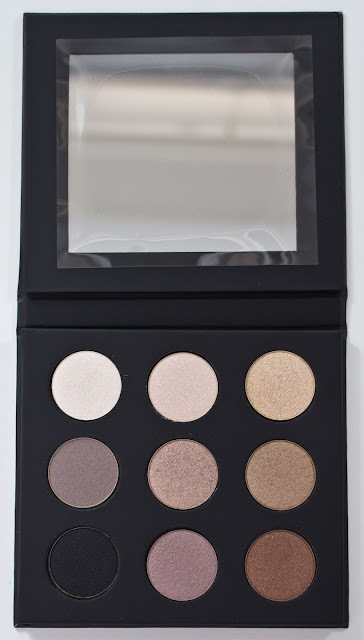 Same with Volume 2 this palette is a great value but it does contain mostly shimmery shades, so it may not be that ideal on it's own. 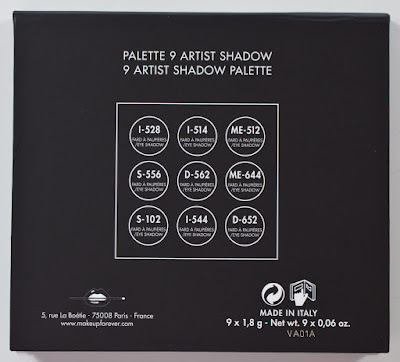 But rumours are they will be making more of these Artist Palettes in the fall so I'm expecting some more matte shades in the future. 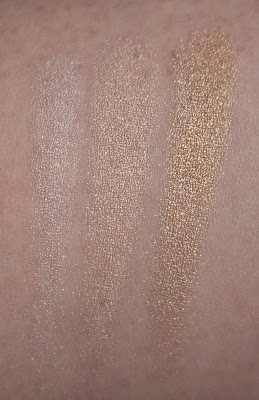 I have a couple of their singles and they're brilliant but a whole set of more shimmer/metallic than satin ? Ill be passing on this one! Thanks for the review ! That's why i waited to order this Volume 1 palette as well after getting the Volume 2 first. I wanted to have more of the MUFE eyeshadows over all, but on it's own it's a lot of shimmer in this palette.